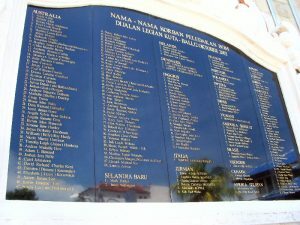 Last week I asked: What is significant about March 7 in Bali? 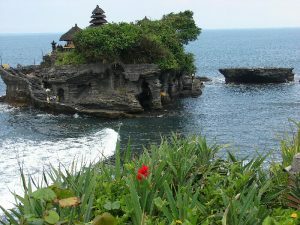 If the show tune “Bali Ha’i” makes you think of the Indonesian island of Bali that is understandable. But, the song from the musical “South Pacific” actually refers to a mystical island visible on the horizon but unreachable. Bali is reachable and is a popular vacation destination known for its forested mountain, beaches and coral reefs plus it is a favorite for those looking for yoga and meditation retreats. Every March the people of Bali celebrate the Hindu holiday of Nyepi; it is a time of fasting and meditation. It is the day before their new year and a public holiday of silence, observed from 6 a.m. until 6 a.m. the next day. Nyepi is a day reserved for self-reflection and as such, anything that might interfere with that purpose is restricted. The main restrictions are no fires, lights must be kept low, no working, no entertainment, no traveling; and, for some, no talking or eating. Although Nyepi is primarily a Hindu holiday, tourists are not exempt from the restrictions. 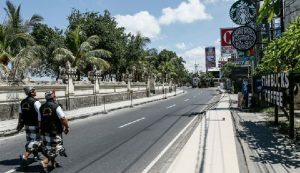 Although they are free to do as they wish inside their hotels, no one is allowed onto the beaches or streets, and the only airport in Bali remains closed for the entire day. Everyone could probably benefit from such a day. Balinese religious wardens arrest locals and tourists for violating the rules. Just think a whole day without the internet, TV, radio, cell phones – a day of thinking and reflecting. I think it must be good for the mind and spirit. Interestingly, Bali is just one of many Indonesian islands, but while most Indonesians follow the Islamic religion the most predominant religion of Bali is Hindu. Tanah Lot Temple, about 12 miles north of Kuta, is one of Bali’s most important landmarks famed for its unique offshore setting. The onshore site has smaller shrines, restaurants and a cultural park presenting regular dance performance. 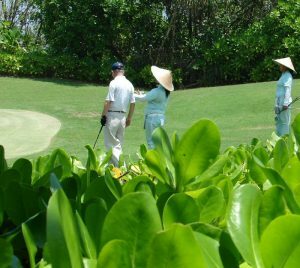 It can be easily accessed by a short trail across the golf course of Pan Pacific Nirwana Bali Resort where the caddies are young ladies. Hinduism is considered by some as the world’s oldest religion with roots and customs dating back more than 4,000 years. One way to learn about Hinduism is from the story Ramayama written in the 3rd or 4th century BC. Rama, an incarnation of Vishnu, is robbed by his father’s second wife of his rightful position as heir to the throne of the kingdom and is banished to the forest. His beautiful and faithful wife, Sita, and his younger brother, Laksmana, accompany him. Trials, separations and other tribulations ensue. 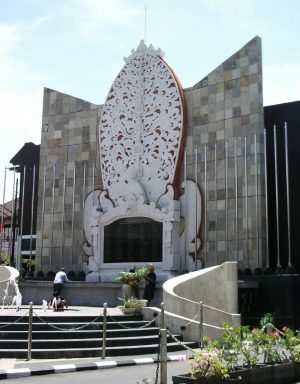 Several resorts have specially constructed Balinese theaters and present Ramayana on a regular basis. Fortunately, guests are provided with a synopsis of each scene so the story is easy to follow. The beaches are the biggest tourist draw including the white sand beaches of Kuta, Nusa Dua and Sanur. There are also black sand beaches in the north. Even if the beaches are the reason for the visit, one should make time to learn about the unique culture. We often forget the places outside of the United States where terrorists have killed and injured people. When in Kuta. John and I paid our respects at the memorial where in 2002 at least 202 were victims of a terrorist bombing including 88 Australians, seven Americans and visitors from 23 other countries. Travel Trivia Tease™: Where can you celebrate Women’s History Month?